A fully mobile line boring service to the mining, earthmoving and construction industries. By performing our services on-site, considerable savings can be made by eliminating costs and additional downtime. Sunshine Coast to the Gold Coast, and surrounding areas. We will also visit regional and remote areas upon negotiation. 20 years experience in the Maintenance Service Industry, we have valuable industry contacts and a diverse customer base. True Blue Line Boring provides a fully mobile line boring service to the mining, earthmoving and construction industries. 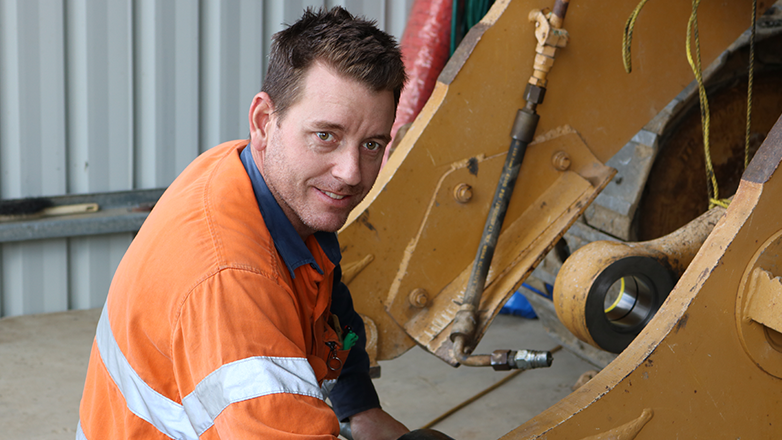 Based in Brisbane we specialise in in-situ solutions for bore repair and on-site machining from the Sunshine Coast to the Gold Coast, and surrounding areas. We take pride in providing professional advice & friendly services. Contact Us today 0488 786 844. True Blue Line Boring offer in-situ bore welding and machining of bores ranging from 40mm-1m and above. We run top of the range Climax boring equipment. We carry all the equipment in a purpose built trailer so that we can come to you any time anywhere.. 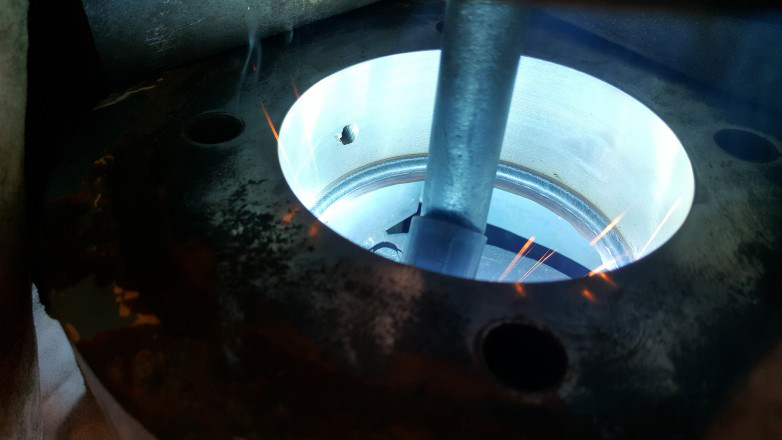 Bore Welding is a process that reduces the bore diameter by adding 3 – 6mm of weld to the inside of the bore. The bore can then be machined back to original specification. 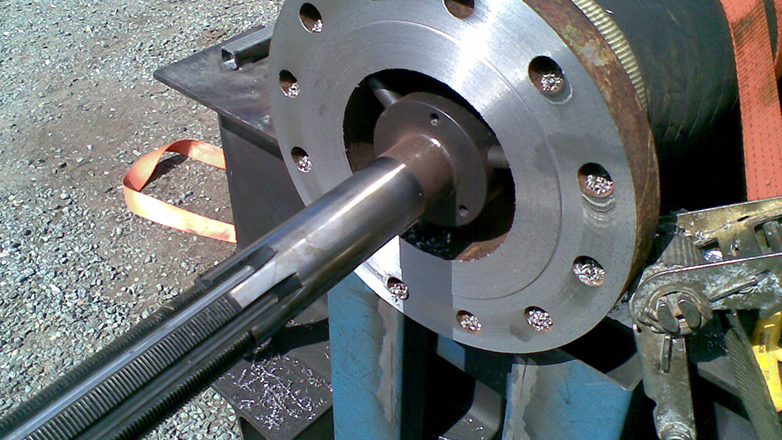 Other in-situ machining services that we provide are Flange Facing and Journal Turning. These processes are required when conventional machinery are impractical due to the need for transportation or accessibility. Thank you True Blue Line Boring. I appreciated the prompt service with a time sensitive job and Doug's advice was much appreciated. Also, I didn't have to sit down when I opened the quote. Richard Doohan, Hughes Brothers Engineering. True Blue Line Boring are exactly what you would expect from a family owned and operated business. It is great to deal with the actual person doing your job, they are prompt and extremely reliable. There is always a follow up call after job is complete, and we have always been very happy with the service. Doug will go out of his way to make sure you are completely satisfied, and that your job is completed in the time that you require. We use True Blue for emergency breakdowns, and Doug will always ensure the machines are up and running as a priority. We would recommend this company highly (and we have on a number of occasions), to anyone. True Blue Line Boring have always provided us with excellent customer service. Doug turns up on time, does a quality job and will put in the hard yards to get our machines repaired as soon as possible. We have always been very happy with Doug’s workmanship and the service True Blue Line Boring have provided us with. 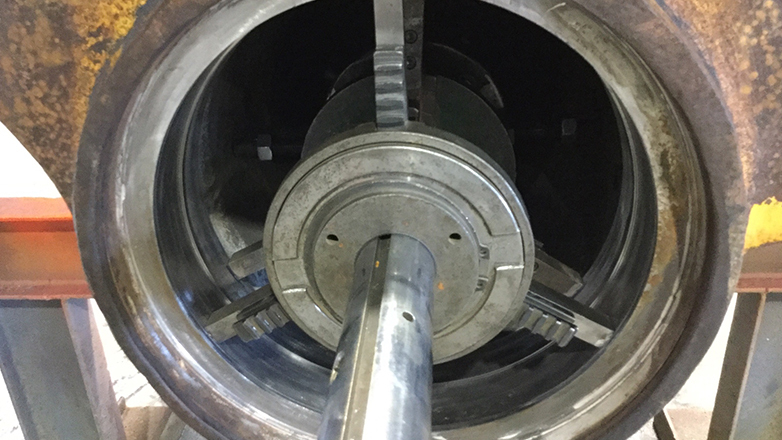 We would recommend True Blue Line Boring for any repairs and maintenance job you have. Simply fill in the form below and one of our friendly staff will call you back to discuss your enquiry! Find out about the latest projects and information on our social channels. Download the True Blue Line Boring Company Profile.